The below email stood out to me because I think she articulated what so many of us wrestle with - purpose, calling, wondering whether our stories matter, and figuring out how to share our lives for the encouragement of others. So with my new friend's permission I share our email exchange with you. I pray it encourages you! I am at a crossroads and would greatly appreciate your perspective. I "just so happened" to read your blog for the first time this week. Your post was wonderfully vulnerable, Spirit-filled, and captured my attention. I love to write. I love to speak. I love teaching women about the God of the Bible and helping them follow Him without reservation. I feel called to use my "one little life" to do that. I've been researching developing a writing/speaking ministry for weeks. And I'm overwhelmed. The message I'm getting is that it takes much more than good writing or speaking. One has to have a "platform" to get published. I am struggling to sort out how I feel about this in regards to ministry. Hard work I'm not afraid of. But slowly trading Christ-likeness for fame and followers terrifies me. Ironically (providentially!) after I had been wrestling and praying over this issue all the live long day, I "happened" to check out your facebook page and saw the link to Ann Voskamp's post that you shared about this very thing! In short, would you speak to this is regards to your own ministry? How do you feel about books about "Platform"? I understand that you might not have the time to tease out your entire doctrine of "the platform" for one gal. So if there are books/blogs/conferences that you respect and recommend, I will gratefully dive into them. Thank you for taking the time to read this! I appreciate in advance any morsel you share. I could write a novel on my feelings about platforms and such. I wrestle with it every.single.time I write a post or tweet a link to my book or point to anything I've written or said. With advice from author friends who have gone before me on this sometimes terrifying path, I'm still learning how to be both vulnerable and brave in posting blogs and recommending my book to people. My only peace comes from knowing that what I'm writing is pointing people to Jesus. It's not about me, it's about Him. But it all still feels so self-serving and awkward. And I am terrible at it. But what I do have is a God who opens insane doors at just the right moment and puts my book in the hands of people who desire to help share the message. The thing is, I never meant to write a book. 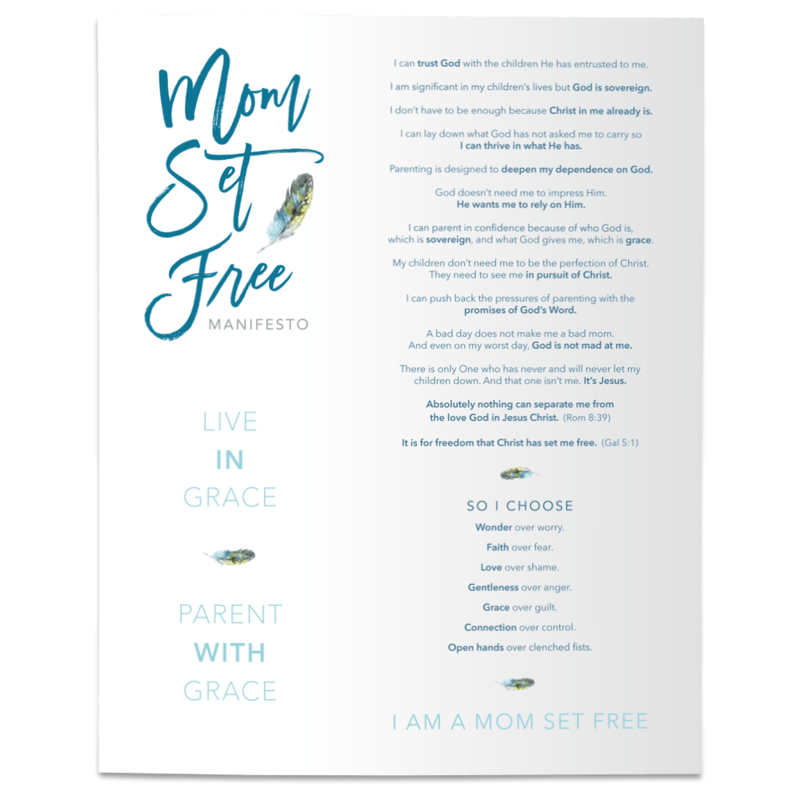 It's a long and winding story but my heart was fully invested in adoption work when a million little things made it clear God was nudging me to start writing about all of the stuff failure I was experiencing as a mom, and how God was using motherhood to teach me about His grace. The book was first and foremost God's gift to me and this entire crazy crew. God used the writing of the book to help me see my law-locked heart for what it was, and He used the writing to help me see how desperately He wanted to set me free in His love. God heard my prayers about how much I longed to be a vessel of His love to my kids, and He knew the only way to answer my prayer was to first help me accept His wholehearted love for me, in all, and I mean all of my mess. After eight months of writing, I began to explore what one does when they have written a book- and it stopped me DEAD in my tracks. I had NO earthly idea what was coming. (Ok, so I do have a sister who travelled the writing path long before me with wild success and was wise enough NOT to tell me what would come after the writing was done. She just told me to write what was on my heart and we'd talk about the "what's next" later.) Yes, Patti didn't tell me about agents and proposals and platforms and speaking and websites and blogs and twitter and facebook and pinterest and and and.... I had none of these things except a Facebook page I rarely visited. Oh trust me, I had some tight fisted conversations with God after I learned that writing the book was the EASY part. Oh my stars. The truth is, my journey has been one small yes to God after the next - a journey of learning to trust over and over again that God is SO very very faithful, and that getting answers for my uncertainty isn't nearly as amazing as experiencing His presence in the waiting. But here's the beautiful gift about feeling ill-equipped - I knew I had to rely completely on God! I had to rely on Him to give me the words to write, to provide the generous and amazing people who would come alongside me to help get the book published, and to open doors for the message to be shared. It has enabled me to say with compete confidence - This book is not mine. It belongs to Jesus. I get none of the credit for anything that's happened. MY platform has been irrelevant. So I’m probably the wrong girl to ask about platforms because I don't know how to build one and I don't have one to stand on. And like I wrote last week, I continue to feel Jesus saying to me "Be still. I've got this!" You can stop trying so hard. Jesus has done for you and me what we could never do for ourselves. Your kids aren't perfect and you aren't either. The good news of the gospel is that Jesus is our perfection. There is grace for your failure and power for your weakness. You are wholeheartedly and unconditionally loved on your best and worst day. Let that grace make it's home in your heart and watch it overflow into your parenting! God's grace can captivate and transform your child's heart in ways you could never imagine. My very small voice is sharing that message in a very loud world. It's God's message of grace, I'm just one very small messenger with an even smaller platform. I'd agree that it usually takes a big platform to get published but that isn't always the case. I’ve seen God bless beautiful friends with all the required skills to build amazing platforms that point people to Jesus, and I’m so proud of them. But that hasn’t been my story. So I guess I’m saying that God is creative. And where He calls, He is faithful to provide. My best advice would be to just keep following His Spirit leading you. If you know the desire in your heart is from Jesus, then sister, don't stop! You don’t have to trade Christlikeness for fame. Seeking Christ is what will produce Christlikeness in your life. Look at all of the amazing Christian women who are writing and speaking for God's glory, not their own. And if God gives you “followers” (though I will never get comfy with that term), you can point them to Jesus in whatever you write. Keep praying, keep writing, keep trusting, keep sharing. Whether you’re sharing your story with one friend over coffee, or with countless people in a blog or book, is not the point. You never know who your story will impact! Who you’ve loved, what you’ve lost, how you’ve been broken, how you’ve been healed. Where you’ve failed and where you’ve soared. Share it. It matters because Jesus wrote it and He writes the BEST stories. Your story matters because you matter. A lot. *** If you'd like to receive my blog posts directly to your inbox, please click here and simply enter your email address!